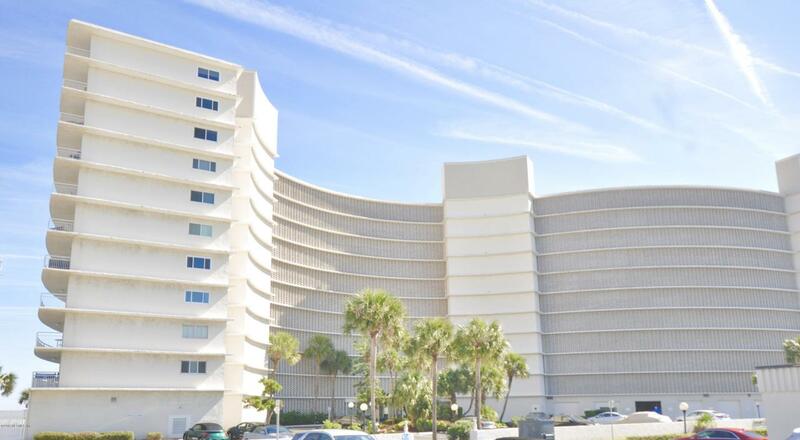 Here's a great opportunity for you to live life like you're always on vacation in one of the most sought after residences in Jacksonville Beach! This 2 bedroom, 2 bath condo (originally a 3 br and can easily be converted back to) is ready for your personal touch or move right in! One of the best features of Seascape is that you see the ocean from every room. Neutrally painted, kitchen features white cabinets with like new appliances. Watch the sun rise from your nearly 60 foot covered balcony! Close to great restaurants, shopping and Mayo Clinic. *** Preferred Membership Initiation Fee pricing for the clubs of Gate Hospitality - Ponte Vedra Inn & Club, The Lodge & Club, Epping Forest or The River Club - is available to the purchaser(s) of this property*. (*certain restrictions apply*).